FIf you are serving a lot of clients wıth high bandwidth applications like streaming, you need server without and traffic limits and unshared bandwidth. 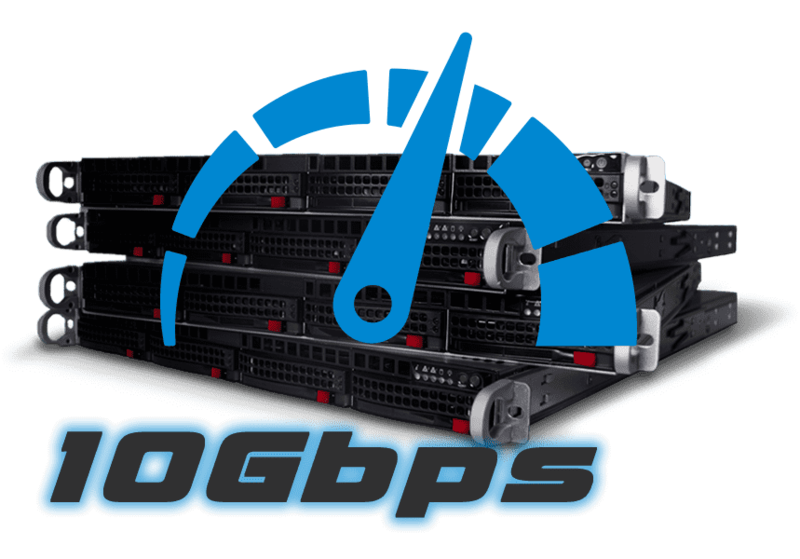 We provide 10 Gbps ports on all our server here we offers. Find below some suggested configurations. You can always order a regular server with a upgrade to a 10 Gbps Dedicated Server if that fits you better, or you can contact our support team for a competitive quote. Choose from a wide range of Linux distributions as basic operating systems with every server you order. Recommended stabe Linux distributions as basic operating systems. Take this option to enable direct acccess to the Deutsche Telekom Network (Backbone). Get access to the Deutsche Telekom Backbone Network with this option. From now on we offer a special connection for our 1Gbps to the German Telekom (Deutsche Telekom) network. This option will solve all Deutsche Telekom client connetion to your Server(s). On new Server order, you simply have to select Deutsche Telekom option. Our clients who want add this option to their Servers, have to open a new Support Ticket. 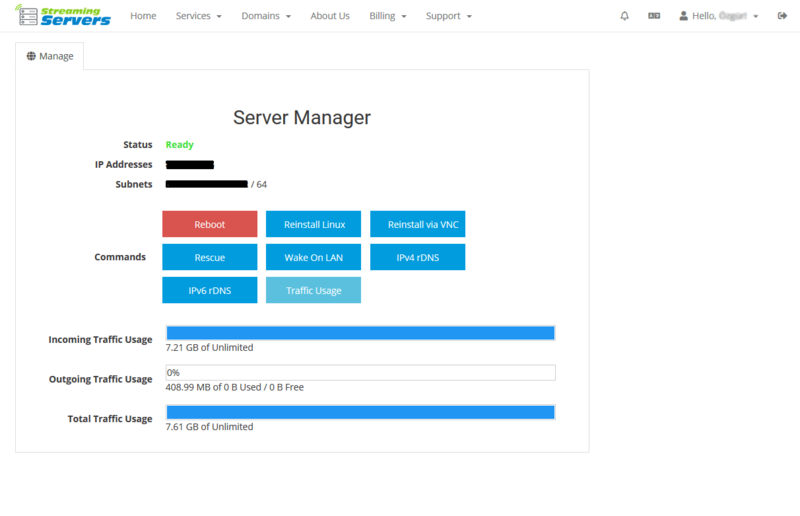 We offer a easy to use server control panels to manage basic functions of your server. We do not keep you waiting! Our support agents are available 24/7 for E-Mail Mail or Ticketing support. Stop internal & external attacks, prevent unauthorized access. If you wish, we will set your rules on our Hardware Firewall. On our knowledge base you will find all the information you need. Use the search field, or browse through categories. Depending on your personal needs you can oeder optiona up to max 32 IPv4-addresses. For some servers, you can optionally book a higher bandwidth, up to 10Gbps. Yes, all servers can be managed by our customers themselves. In our client area there is the control panel where basic functions can be operated by the user. Are there any limited server orders per customer? Not all servers have a RAID system. For servers with a RAID controller, the customer himself can define the RAID Mode himself. Yes, depending on the length of the order period, we offer discounts. These can be found during the order procedure. No problem. Send us a ticket with your special streaming server needs and we’ll get back to you with a quote. Free of charge.